Come and discover Blois and its surroundings. Premiere Classe hotels invite you to discove the city's history with the Chateau de Blois and many other attractions. Blois is the capital of the Loir-et-Cher department in the Centre region of France. 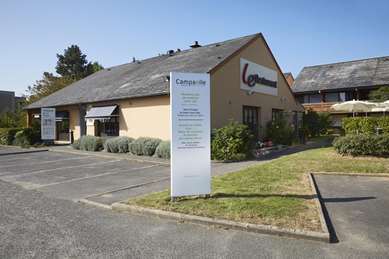 It is located between Orleans and Tours on the fertile banks of the river Loire. Blois is a historical city and has been the scene of many bloody battles. It is a regal city which was once home to Louis XII and Francois I. Both kings have left their distinctive marks on the city. The infamous Joan of Arc used Blois as a base in 1429 before leading the French army into victory against the English in The Battle of Orleans. The Nazis were the last to occupy Blois before it was liberated from them by the Americans in 1944. Today it is a lively city with opulent architecture, friendly taverns and lush scenery. Culture and art lovers will enjoy a holiday in Blois.